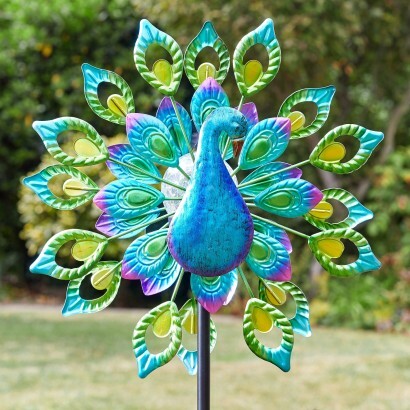 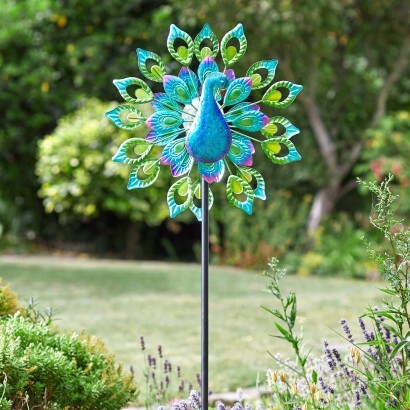 Bright, vibrant and beautifully elegant, this peacock wind spinner is full of colour capturing the sunlight with stunning effects. 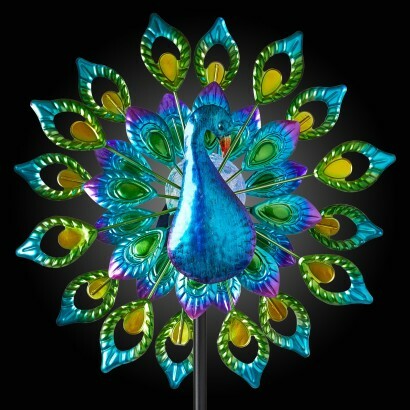 A double sided wind spinner, the feathers of the peacocks tail rotate in the wind, the colourful eyes dazzling in the sunlight. 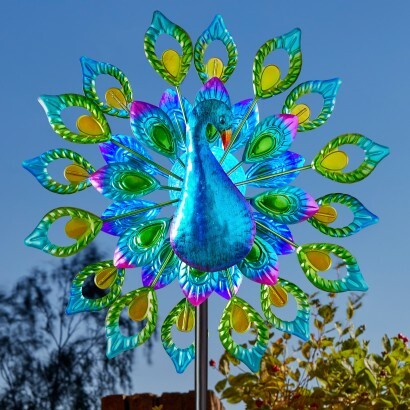 A crackle glass ball becomes the body of the peacock lit with colour change LEDs that ensure that this striking garden spinner is as stunning at night as it is in the light, shining with colour change light illuminating the silhouette of the peacock night after night. 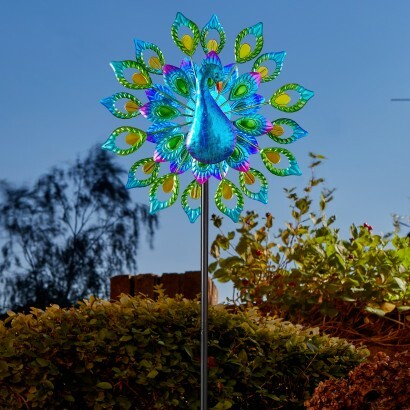 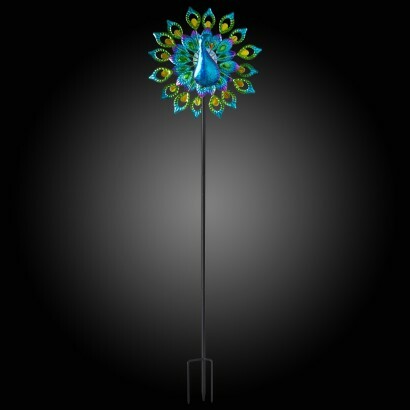 Standing at 1.3m tall, this impressive wind spinner senses darkness to automatically switch on at night adding colour and light to your garden.